Imagine having a Golf Game that gives you Greater Accuracy, Distance, Control & Consistency & that Gets You Closer to Your Target Every Time! IMAGINE...having greater, fitness, flexibility, concentration and focus that allows you to finally get out of your own way and play golf to your true ability on a more consistent basis. IMAGINE…shaving strokes off your game simply because you’re hitting more fairways and greens in regulation, getting your ball closer to the hole and reducing your number of putts. Just by concentrating on the 6 key areas of your golf game you can become a near “scratch” golfer, because you’ll learn to increase the Distance, Accuracy, Confidence and Consistency with your overall golf game. Golf University in conjunction with some of Australia’s and the world’s best teaching professionals, players and performance coaches have created an overall Golf solution that will build greater Consistency and Confidence in your game – it’s called the Golf Mastery Program and it’s the secret to you mastering your golf game once and for all! Atleast 30 Fitness and Flexibility Videos. We’ve been told we’re CRAZY to give away so much for so little. But as you’ll see, it’s all worth it to help make YOU a better golfer! And at Golf University that’s our mission and our passion. 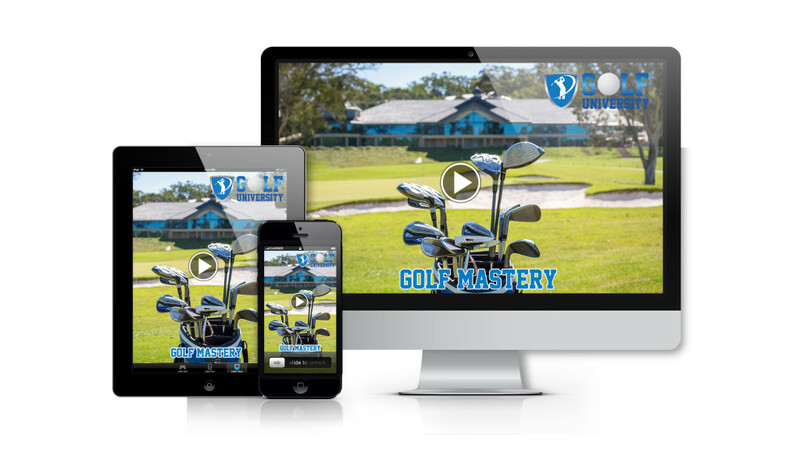 The Golf Mastery Program is accessible on the Internet, on your Personal Computer, iPad / Tablet and/or Smartphone, which means you can watch the videos at home, the gym, the office or even at the golf course, 24 hours a day – 7 days a week. 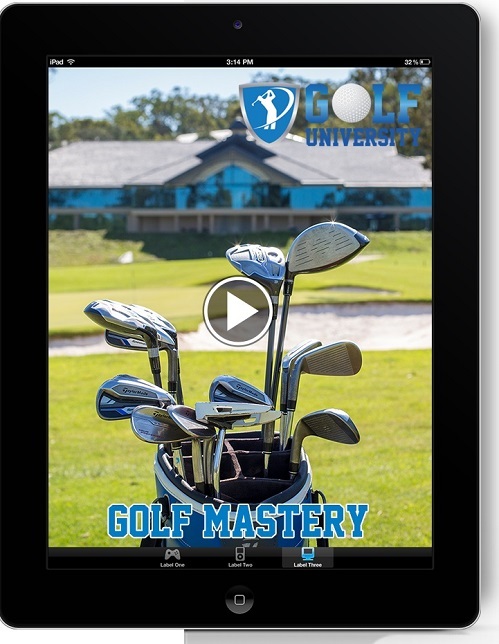 Think of Golf University's Golf Mastery Program as like having your own Personal Golf Pro! This offer is only available for a limited time - so don’t delay! Simply click the link below for full access and in no time you’ll be feeling a lot more Confident, Consistent and in Control of your Golf.